The first edition of the Political Behavior Seminar for Doctoral Students took place on Thursday, November 8, at the University of Montreal. This seminar gives the opportunity for advanced doctoral students to present their work and to benefit from the comments of professors and students. 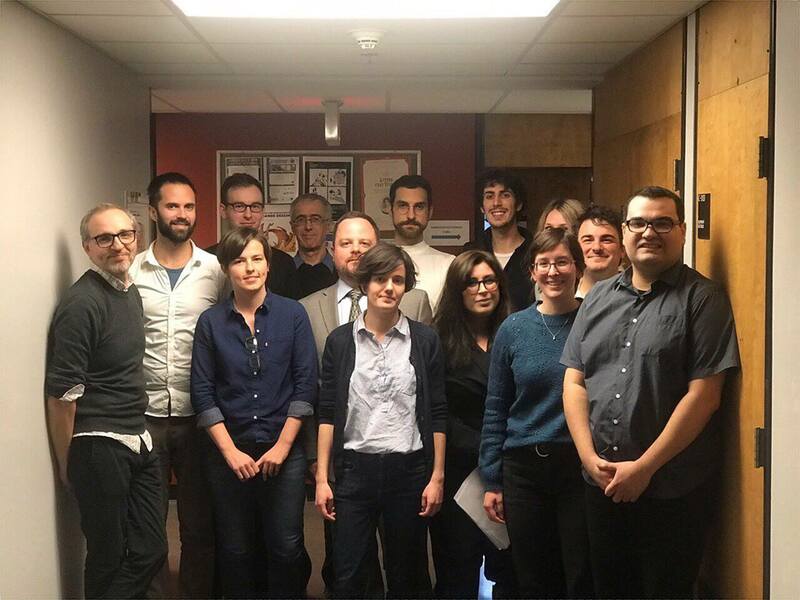 Members of the Chair – Alexandra Jabbour, Semih Cakir, Phillipe Mongrain, Florence Vallée-Dubois, Maxime Coulombe and Semra Sevi – were among those who attended the seminar. Fernando Feitosa further presented his doctoral thesis on the extent to which parents and school influence the development of a sense of civic duty to vote in addition to organising the seminar. The second edition of this seminar, co-organized by the Canada Research Chair on Electoral Democracy and the Research Chair on Electoral Studies, is scheduled for September 2019. This content has been updated on 9 November 2018 at 21 h 43 min.